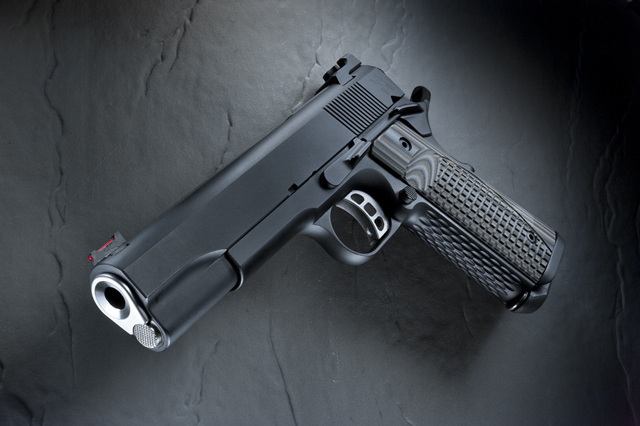 Enter to win a Nighthawk Custom 1911 from their Richard Heinie Signature Series. Tickets are only $30.oo each and there will be a maximum of 2000 tickets sold. Buy five tickets and get one BONUS ENTRY FREE! Drawing to be held on the 29th of February, 2012. Contestants need not be present to win. Entries will be electronically logged and you will receive an e-mail confirmation of your "e-Ticket" number. The drawing will be conducted by an independent accounting firm. See Official Promotion Rules for details. One-piece fully machined mainspring housing / magwell with Heinie Signature scallops and reduced circumference. The Prize Pistol will also come with a signed letter of authenticity certifying this particular gun as the very first production version of this model! Nighthawk custom gun leather will satisfy the desire of everyone who is looking for premium gun-leather. We use only the finest grade-one premium cowhide, as well as the highest grade exotic skins found anywhere on the planet. You can rest assured that there is no finer leather than what is used on each and every hand-made holster, belt or magazine pouch. This is a holster set that you will take pride in for years to come. Ed Strange at Wicked Grips was kind enough to donate a set of their gorgeous Box Elder Burl stocks for this prize package. These Stocks are as durable as they are beautiful. Should the winner choose to preserve the autographed stock from Richard Heine, these panels would make a beautiful addition to a beautiful gun! Thanks Ed and the crew at Wicked Grips! "Defender" armor from US PALM. The winner of our drawing will be able to choose their size and color combination from the standard US PALM offerings. 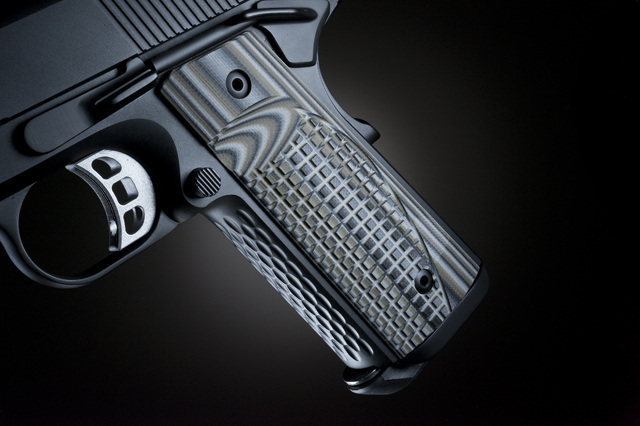 This model of the "Defender" is the perfect accessory for a Nighthawk Custom 1911 handgun. Graciously donated by US PALM. Your generous donations support our continuing mission and allow us to provide support to families during times of tremendous crisis. We will be contacting the winner via e-mail and will post the winner's name, once we have confirmation of eligibility! Thank you, each and every one of you who have participated in this event. Stay tuned for our next prize package which we are putting together in conjunction with Doug Turnbull Manufacturing. You'll be blown away by this one! Eric donated on three different occasions, once in January and twice in February. It was his third donation which generated the ticket number which was eventually drawn as the winning ticket. Thanks again to each and every participant and supporter for helping make this a great event! We'll be updating the website soon, so please stay tuned for the changes. While we can't be all things to all families, our desire is to be a resource and a help whenever we can. By partnering with other organizations, we can help a family find assistance in their own hometown, and where appropriate, we will offer financial resources to families in need. throughout the country. If you are aware of a family with special needs, not limited to children with HPE, we would encourage you to have them contact us to find out how we can help. Please note: Due to U.S. postal regulations (18 U.S.C. Section 1302), raffle ticket stubs cannot be returned by mail for purchases over the Internet, through the mail or by telephone. When an order is placed, we will add the donor’s information including name, address, e-mail address and phone number, into our database. Each “ticket” will then be assigned a computer generated randomized number. The winning “ticket” shall also be selected by using a random number generator, thus creating a “double blind” selection process. The winner will be notified based on the name and contact information provided by the donor, at the time of the donation. Thank you for your generous support! Donations to Inspired Life Centers/ Kara's HoPE Project, may be tax deductible. Inspired Life Centers is a public charity under IRS Code 501 (c)3. Please consult your tax professional for advice regarding your particular tax situation. Additional documentation regarding our tax exempt status shall be made available upon request.